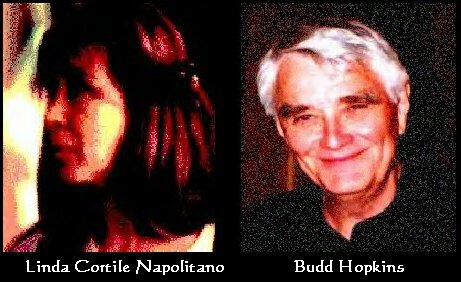 An eyewitness account of the 1989 Abduction of Linda Cortile Napolitano in Manhattan, New York, USA. When I heard UFO MAGAZINE publisher William J. Brines speak at the recent MUFON conference in Rochester, NY, I was intrigued with what he said about “consecutive evidence,” every step along the way. Later, when I ran into Dr. Brines at the Hyatt Hotel, I told him my story had everything to do with such evidence. 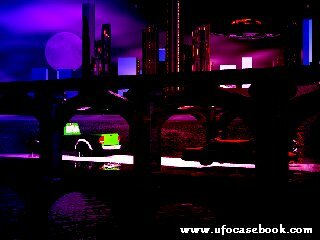 I am a witness to a remarkable UFO event, The Brooklyn Bridge Abductions, which has been called by ufologists “the case of the century.” Being an eye witness, I can easily say it's "the case of the millenniums." The proverbial landing on the White house lawn, they just chose the harbor of lower Manhattan instead. If you follow the evidence, you get to the truth of what actually happened on the morning of November 30, 1989. The facts of what I personally saw have yet to be made public. Most of my recollections of that morning came back to me as instant, total recall. I eventually put things together with what went on at the Manhattan offices of the New York Post right after the event – or abduction, if you like – occurred. This took a lot of legwork, plus the help of some trustworthy gentlemen that I've had the pleasure to work with and become close friends with over the 28 years I've worked at the Post in the delivery department. About a dozen people remember the procession of stretch limos that was parked on South Street (where the New York Post is located). These obviously belonged to some very important people. I, myself, remember the ugly colored Rolls Royce parked at the end of the little pedestrian island that faces the loading bays for the delivery trucks. The Rolls was parked the wrong way on South Street, and the chauffeur was standing just outside the driver’s-side door. He had his driving hat off and placed on the Rolls’ long hood. His arms were crossed like Superman, daring some crazy New York cabbie to run him down. The Rolls has been linked to the then-Secretary General of the United Nations. The four men I tracked down all remembered the Rolls and line of more than a dozen dark limos. One of these men was Steve Dunleavy, Investigative Reporter, who remembers the limos but not the Rolls. That morning, at 2:30 AM, I was upstairs in the South Street Diner, which is on the corner of South Street and Catherine Slip. I was told to report in early for my route, which didn't go out until 4:00 AM. One of my bosses asked me to give his cousin a ride to Shore Parkway, the “Riviera of Brooklyn,” or so he told me before I dropped him off. To get back to the plant, I took the Manhattan Bridge. At that time, both lanes under the pedestrians walkway were carrying Manhattan-bound traffic. At exactly 3:15 AM, I was a third of the way over the crest, with no traffic ahead of me, when my trucks lights and engine shut down, and the truck coasted to a stop. I tried the emergency lights, but they didn't work either. I looked into my side-view mirror to see who was going to pile into me, and then saw all of the headlights of the vehicles behind me go out. And they also slowly coasted to a stop. It felt like everything was going into slow motion. The bridges lights went out and everything went dark. In retrospect, I believe that a power grid in Lower Manhattan shut down. It was an eerie sight, to say the least. Outside of my window, I caught sight of a beam of red light playing across the nearby buildings. The light changed to a greenish-white color and became pencil thin as it traveled across the building facades. Whoever was outside at the time had to see it, because this beam of light was the only power source working in the blackout. One of my thoughts was that this must be some kind of laser test that the Brooklyn Navy Yard was conducting, but the source of the light stopped before the East River. The shape of the light kept changing from an oblong oval to a perfect circle. It focused in on one of the top floors of a nearby building. At first, I couldn't make out what building it was. But as if to answer my thoughts, the beam of light shot down to street level and ran the length of the block, exposing the two sets of very distinctive 15-foot-high inverted metal fishhook gates. These were riot gates used to protect the only two entranceways into the courtyards of the Knickerbocker apartment complex, on Cherry St. I've seen that building thousands of times. How could I not know it was the Knickerbocker? The light beam then shot back up to the top floor of the center building, the one with the exposed water tank, and focused on the bottom half of a double-pane window. There was a window to the right of it that was half the size, probably a bathroom window. This greenish-white light beam started to grow brighter and more intense. Then, for some reason, I looked at my side view mirror, and at that instant the sky lit up. I saw maybe two-dozen people who were now outside of their stalled vehicles, the flash illuminated them through the bridges superstructure. Some of them were screaming and looked like crazed birds locked in a cage, as others pointed back toward Knickerbocker. It was surreal and it scared the hell out of me. When I looked back toward Knickerbocker there was a totally different light. It was bluish-white with a cloudy mist and shaped like a stage spotlight coming down from above. Within this light appeared what looked like four “balls” ascending in an arrowhead formation. They were tumbling, and as they got closer to the source of the light, the balls opened up like blooming flowers. I could see that there were three gray aliens in dark jumpsuits in a triangular formation surrounding an angelic-looking, dark-haired women in a white gown. Her long hair flowed out in all directions, as if in a pool of water. They all looked like they were being pulled up by their midsections. I thought, at the time, that each body was being lifted on cables and that they were making a movie. That's all I remembered of the experience at first. Over the course of the next four weeks, however, more details resurfaced, and that's when I “remembered” the spacecraft. It was saucer shaped, and the bottom half was outer space black with angled sections like a stealth fighter. The saucers top half was mushroom shaped – very “organic” and smooth with a gray metallic color. The construction looked as if it was laminated. At the crown was an open donut-shaped hole, and inside was what looked molten metal or some kind of fluid. Whatever that substance was, it was percolating like a volcanic mud bed. The rim was a bright red and the center was an even brighter yellow. In a fraction of a second, that molten mass dissipated to the inside of the dome, turning to liquid fire and spinning around counterclockwise like a giant cotton candy machine. The outside of the dome turned a bright red. And then the saucer and its occupants just disappeared. Afterwards, I remember everyone casually getting back into her or his vehicle, starting them up, then continuing their drive off the bridge. They were all probably thinking the same thing I was, that whatever it was we had just seen would be on the news or in the papers. But, by the time I went 10 feet, the entire incident was forgotten. Subsequent events were pieced together over time, as more memories of that morning returned. I arrived back at the Post in just a few minutes, since it was only six blocks from the bridge. I parked on the opposite side of the island from the ugly Rolls (I noticed it right away), which was parked across from the diner. All of the limos were parked on both sides of South Street. They were blocking the corner and were told to move so the newspaper delivery drivers could back the trucks in for the 4:00 AM edition. But, of course, they didn't move! I commented to someone that the Rolls was a beautiful car, but what an ugly color, and that it would look great in white. Some of the chauffeurs were outside of their Limos milling around. One of them walked over to see what the straw boss wanted from the chauffeur who was double-parked and blocking the trucks from turning the corner, so they could back into the loading docks. This one chauffeur looked like Odd Job. He was oriental and his suit was two sizes too small. Evidently, the chauffeurs were wondering why they were hanging out and waiting. To this day they're probably still wondering why. They sat there for close to 45 minutes. As I mentioned earlier, others who remembered somewhat happened that morning include reporter, Steve Dunleavy. Before I left to give this fellow a ride home to Shore Parkway, I was sitting, having a casual conversation with him – the first one since he had been working there. I clearly recall what was discussed. I called Mr. Dunleavy recently and asked if he remembered the conversation. He did word for word, and detail after detail. I said to him, you made the statement, “Most Americans do not know what the Vietnam War was all about!” I was offended by his claim, so I responded, “Steve, it was all about money.” He then complemented me on my knowledge of American history. I then asked him if he remembered the driver who had to hail a cab for him. He chuckled and said, “Yeah, I remember that too.” Then I asked him if he remembered all the limos outside that morning? To which he replied, “Yeah, I remember them.” So I asked, “Did you ever find out what that was all about?” To this he replied, “We looked into it, but I can't remember what we found out.” Then I asked him, “Steve, you're Australian aren't you?” To which he replied, “Yeah.” I then said, “You better grab hold of your koala bear. There was a UFO about 150 feet over your head that morning.” He then asked if I could call him in a couple of weeks and that for the moment he had been preoccupied by the World Trade Center tragedy and the war in Afghanistan. I said, “ Fine, and thanks for your time.” His unusual Australian reserve to my statements surprised me. I know if someone reminded me of three particular things that took place one morning twelve years ago that I'd be a little curious to find out what was going on. I know Id want to know who was in the limos. But, maybe that's just me. About 14 months ago, Mr. Budd Hopkins visited me to document my information. On the July 4th weekend of 2002, I attended the MUFON conference in Rochester to see if Mr. Hopkins was going to discuss the case. The only time I had spoken publicly about this experience was at an Intruders Foundation meeting on September 8, 2001. At the symposium, Mr. Hopkins did mention that two delivery workers at the New York Post had come forward to describe the Rolls Royce that they had seen on South Street on the morning of November 30th – very important evidence in this abduction case. The other driver he was speaking of is a friend of mine. When I began looking for people to corroborate the facts that I knew, I was very careful to be vague in discussing the particulars. You cant just spring the subjects of UFOs and abductions on people, especially if they've been personally involved. So, I tried to figure out who was there that morning, over a dozen years ago. The first person I thought of was Bobby. He lives close by, and we get together now and then. During a conversation, I asked him, “What was the brightest light you have ever seen?” His answer was, “At the Post one night.” He also said, “It scared the hell out of me!” He explained that he thought some guys in the neighborhood were “messing around or something.” That one question was all that was needed to jog his memory. Over the next couple of months he started to remember more and more. So, I suggested that he speak to Mr. Hopkins. It took 10 months, but he finally did. I could tell he had been traumatized by the events of that night, just like I had been, and everyone else who witnessed the event, had to have been. You have to understand, when someone comes forward with this type of information, they find themselves in a proverbial straightjacket. When you tell your loved ones and friends about what you have witnessed, they say, “What? Now, let me get this straight.” And on the other end of the spectrum, you have the powers that be, going, “He said what? We better start a file-jacket on this guy.” The bottom line here is that I'm not looking for fame or fortune I work for a newspaper, and if you read the headlines you know its not all its cranked up to be. If you don't believe me, just ask O.J. or the Kennedys. Nor am I trying to be the Clifford Irving of ufology. The facts are just the facts! Now to address the skeptics and debunkers, because sooner or later there going to crawl out of the woodwork: To them I can only say that before they start casting slurs and accusations, they're going to have to put their money where their mind set is. I will make myself available to any so-called “trained” investigator or organization who is willing to put $500,000 in an escrow account to prove that any of what I just told you contains any falsehoods at all. Within one year, when they lose, Ill give them double or nothing for the following year. So that, in theory, if they have the capital, they can haunt me for the rest of their lives. Good luck! It's a suckers bet! And finally to the powers that be: You are the upholders of our beloved and treasured Constitution. I implore you to help the people of this country. The citizens and taxpayers don't deserve to be treated as children. I understand your concern about what has been referred to as “future shock.” I don't know about the rest of the world, but I know the people of this city, this state, and this country, can handle “future shock.” The terror attacks on this nation, on this generation, have proved that. The American people have always been pathfinders, not followers. Sooner or later, the truth always comes out, and you maybe setting this country up for an attack from within. Let the public know that “the only thing they have to fear is fear itself,” or in this case, the fear of the unknown. Which, as individuals, we face each morning. Our children and grandchildren deserve the TRUTH. This country's foundation is the truth. Please. With all of the great resources it has at its disposal – the intellectual think-tanks, the spirit of its people, their willingness as a nation to go forward and face this phenomenon as a nation – truth is the most important issue. And finally, to the former Secretary General of the United Nations: Its been reported in the media that through a spokesperson you claim that you were home sleeping. Well, maybe you were? But your chauffeur and Rolls were on South Street with the limos of the Security Council, who were home sleeping too, I suppose? The position you were elected to demands for you to find the courage – the machismo – to tell the people of the world what happened that morning. I know you are caught between the rock and hard place, but I believe you to be a God-fearing man. And, I also know that the truth is the truth. “Imagination is the threshold you must pass through to open the doors of truth.” Y. S. 7/4/2001. In this case, you only have to have the imagination to understand that I am telling the truth.